After being charged with a criminal offense, time is not on your side. You need to act fast to preserve your constitutional rights. Failure to act quickly can result in costly fines, illegally seized evidence being used against you, a drivers’ license suspension, and incarceration. 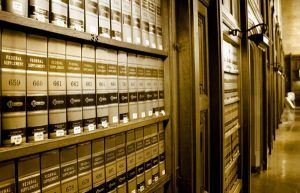 If you require a defense attorney in Reading, Allentown, or Easton Pennsylvania for criminal law cases, Dutko Law, LLC may be able to help. The importance of your right to legal representation cannot be overstated. It is imperative to ensure that you are being fairly represented in court, and offers some of the following benefits. The law is extremely complicated. In a court of criminal law, not knowing the ins and outs of the legal system can result in a conviction, even if you are innocent. Considering that even veteran attorneys rarely ever represent themselves in court, you probably shouldn’t either. Logic and emotional detachment are important when dealing with the level of detail that the law requires. That is just not something a defendant should have to muster when facing heavy fines or incarceration. Justice is not as straight forward a concept as some might believe, as it is contingent on evidence and provability, something many criminal cases are in short supply of. Our Justice System promotes fair representation by requiring a minimum standard of expertise (passing the Bar Examination) in the form of guaranteed legal representation. Unfortunately, public defenders tend to be drastically overworked and underfunded, and it reflects in the courtroom. Prosecutors tend not to suffer from this problem, so it’s important to hire a knowledgeable professional to ensure you’re represented fairly. 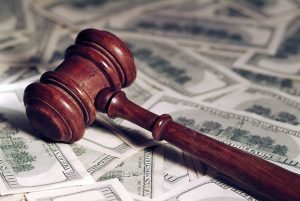 It may seem counter intuitive, as the cost of a defense attorney can be significant. However, it can pale in comparison to the cost of legal fines from a criminal law case, not to mention the fact that you can’t put a price on your freedom. While you should always do a cost/benefit analysis when making a big purchase, do not forget to include these factors. Don’t take on the system without a competent lawyer by your side. Contact Dutko Law for a FREE CONSULTATION and see how we can help you.